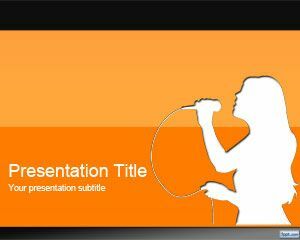 Free Karaoke PowerPoint template is a free karaoke template for Power Point that you can download and use in your PowerPoint Karaoke presentations. 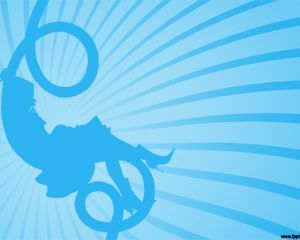 This free slide design karaoke has a lady singing in the slide design over a blue PowerPoint background. 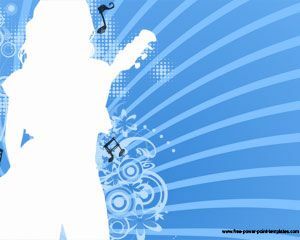 You can download free Karaoke template for PowerPoint compatible with Microsoft PowerPoint 2007 and 2010. 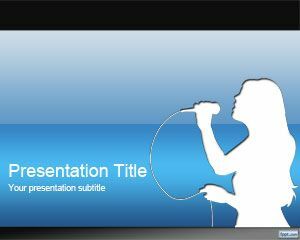 This free Karaoke PPT template can be useful for companies creating karaoke PowerPoint presentations. What is a Karaoke PowerPoint? In Wikipedia we can read that a PowerPoint Karaoke “is a spin-off from the traditional Karaoke that instead of singing songs the presentation participants must present an impromptu presentation based on a random presentation topic. The presentation is projected on the screen to an audience. This random presentation can come from a sampling of images collected locally or by randomly downloading from the Internet. The name Powerpoint-Karaoke is based on the title of Microsoft Powerpoint. In theory, other similar software can be used for this purpose. 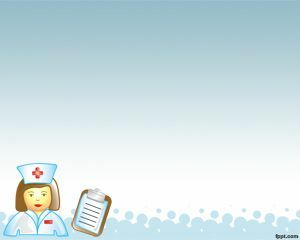 Powerpoint-Karaoke can be considered a training game in PowerPoint presentations that allows the participants to hone their rhetorical presentation skills with a flair for dialogue. 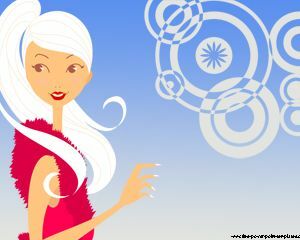 It is also considered to be a form of improvisational theatre or as a type of Theatersports game”.